Sometimes I'm not a very good wife. Sometimes I do things that I want and drag Mr NQN along as a somewhat unwilling participant. The restaurant visits, well they're fine as he gets fed but the shopping and the movies, now that tests his patience. There was the time I took him to see a movie called "Bright Star". I didn't actually tell him what it was about on purpose (a movie about the last three years of poet John Keats's life). He turned to me a few minutes into the film looking alarmed and searching for the exit. "Where on earth have you taken me?" he asked panicked. I mean this was a chick film and then some. He fell asleep during it head leaning back against the headrest in his loudest posture of protest possible. I had to make it up to him and that was to do something or make something that he likes. And every time I ask him to come and do something that he doesn't want to with me, I am only too happy to make him something to make up for it. 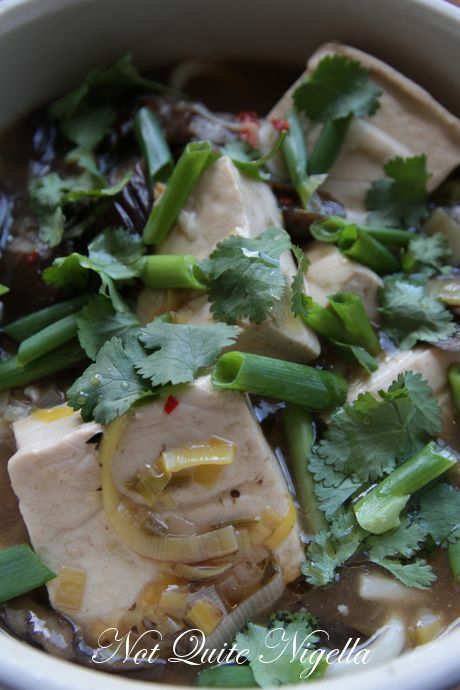 Mr NQN grew up eating tofu and he adores the stuff. 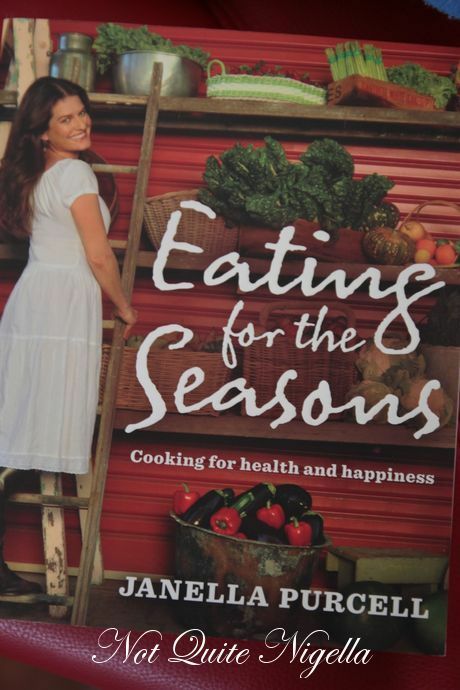 Along with that his favourite flavour is ginger and so when urged by friend Renee to try a tofu, eggplant and ginger hot pot in the new Janella Purcell book Eating For The Seasons that I received to review some time ago I knew this would be to make up for a gruelling girly session. This was also good because it was low fat and if the weather is any indication you know what is up next. Yep that's right, dress weather! The coats, boots and jeans that we have been hiding under will have to be discarded, stripped away brutally and we shall have to show naked arms and legs before long. Sydney's weather lately has had somewhat of an identity crisis and the coats we put away for a sunny 33C degree day have now been shrugged back on for the cold days. Thankfully this dish straddles both the cold temperatures and the hopefully impending warmth of Spring. It's comforting enough to get you through the night, yet is still light and tasty enough to ready you for Spring and then Summer. 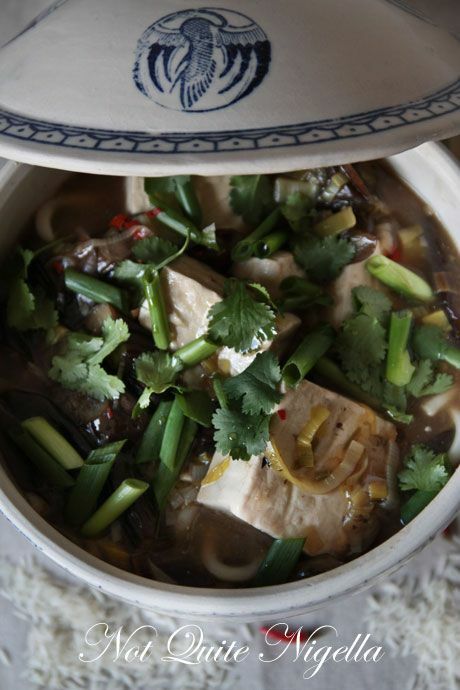 The flavour from the ginger, dashi, coriander and chilli contrasts with the soft caramelised eggplant and pillowy tofu. I serve this with rice to soak up the lovely sauce or you could omit the cornstarch and serve it like a tofu and eggplant udon soup. So tell me Dear Reader, what are you looking forward to doing in Spring (or Autumn/Fall if you're in the Northern Hemisphere)? 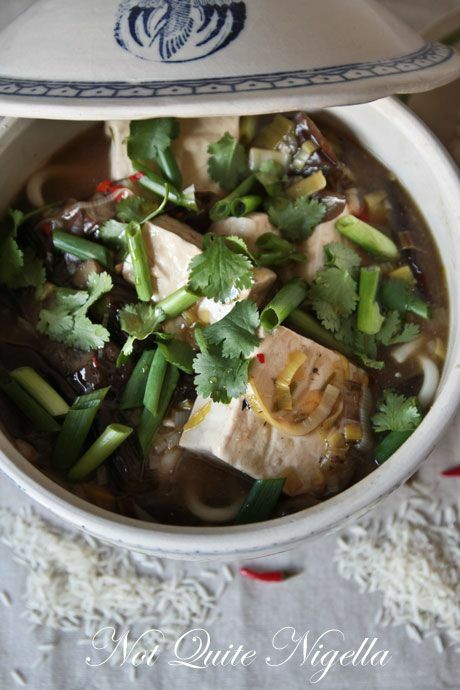 Buyer's tip: Dashi is a concentrated Japanese bonito fish stock available at Japanese grocery stores. It resembles tiny little pellets rather than a fine powder. Step 1 - Preheat the oven or grill to 180C/350F. Slice the eggplant diagonally into 4cm pieces. Brush them lightly with some of the oil (I needed about 2.5 tablespoons for the eggplant) and bake for 30 minutes. 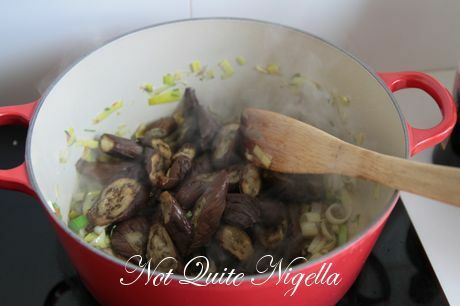 Step 2 - Slice the leek into half moons and place in a bowl with the chopped garlic, ginger, chillies and coriander stems. Heat a hot pot on the stove to medium and add the remaining oil. 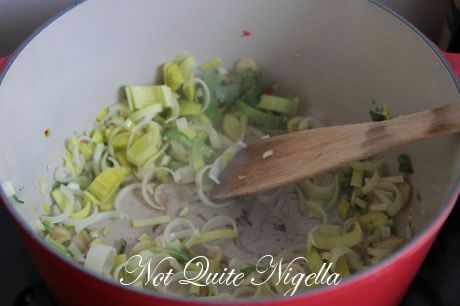 Cook the leek and garlic mixture for a couple of minutes. 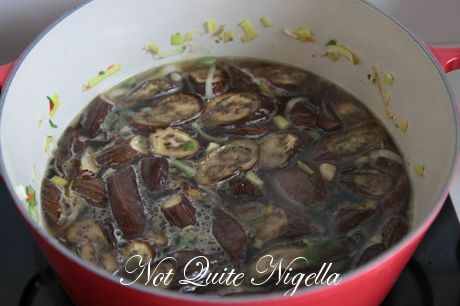 Add the eggplant and then add enough water to cover the eggplant-I know this is vague and I hate giving directions like this but I'd say add a couple of cups of water and then add 1 or 2 cups more. The more liquid you use the more sauce you will get but you don't want it drowning in liquid because you will lose the flavour. I think I added about 3 cup's worth. Cover with lid and simmer for 15 minutes until eggplant is soft and tender. Add the soy sauce and dashi and taste for seasoning-if you need more flavour add a bit more dashi. Step 3 - Add the udon noodle packet to the mixture and allow to soften for a few minutes. Drain the tofu and rinse under cold water draining well. 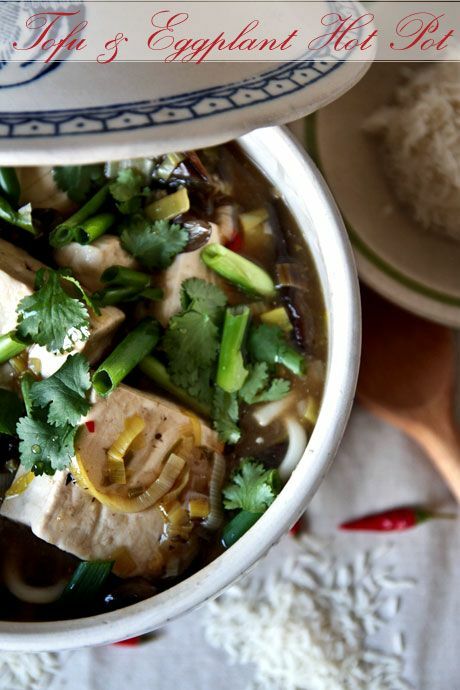 Gently add the tofu to the mixture and stir gently to warm through. Turn off the heat (it will still be warm) and add the cornstarch mixture making sure to distribute it evenly in the liquid. This will help to thicken it. 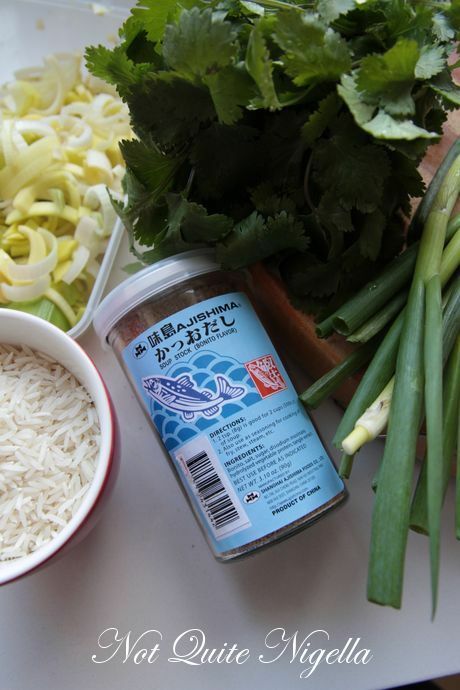 Garnish with spring onions, sesame oil and coriander leaves. Serve with boiled rice. featureLow Carb & Low Cal Cauliflower Fried "Rice"
featureLow Carb Gluten Free Cauliflower Base Pizza! featureReader's Request: Caulislaw or Cauliflower Coleslaw! featureCrunchy Crispy Kale Chips That Are Ridiculously Good For You Too! feature Low Carb & Low Cal Cauliflower Fried "Rice"
feature Low Carb Gluten Free Cauliflower Base Pizza! feature Reader's Request: Caulislaw or Cauliflower Coleslaw! feature Crunchy Crispy Kale Chips That Are Ridiculously Good For You Too!